Will There be Gift Bags in Hell? Fashion Week in Hell. It’s not just a punch line, it’s an invitation. Los Angeles–based rock-couture brand Junker Designs is going to Hell—that’s Hell with a capital “H,” as in the city in Norway located about 300 miles from Oslo—for Fashion Week in Hell, a runway show featuring Junker and Norwegian denim brand Anti Sweden. Designed by Mayo and Tod Water, Junker has a client list that reads like a who’s who of rock and pop royalty: Steven Tyler, Alice Cooper, Richie Sambora, Nikki Sixx, Vince Neil, Robert Rodriguez, Shania Twain, Christina Aguilaera and Pink. 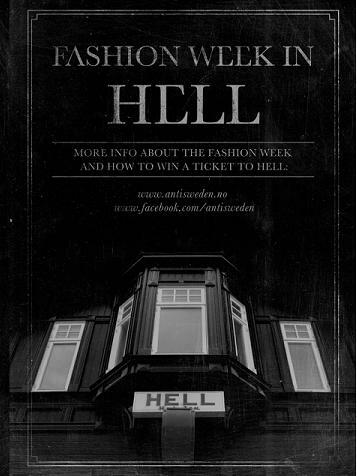 Fashion Week in Hell is the brainchild of Anti Sweden founder Kjetil Wold, who organized the new event to serve as an antidote (or anecdote?) to Oslo Fashion Week. When Wold founded Anti Sweden in 2009, he invited customers of his Anti Sweden store in Oslo to trade in their Swedish jeans for a discounted pair of Anti Sweden jeans. According to the company, the promotion was so popular, the company ended up taking the Swedish jeans to Hell—Norway—to burn them. The remnants of the burned Swedish jeans were used in a special collection designed by Anti Sweden and Junker. The Junker/Anti Sweden collaboration will be on the runway in Hell, along with the latest Junker designs and the latest Anti Sweden collection designed by Karoline Bakken Lund. 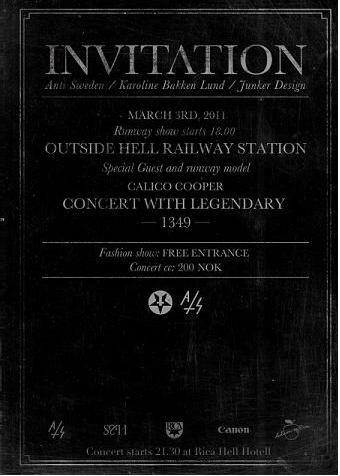 The Fashion Week in Hell event will also feature with Norwegian Black Metal band 1349 (because, really, who else can provide an appropriate soundtrack for Fashion Week in Hell? Celine Dion? Enya?). 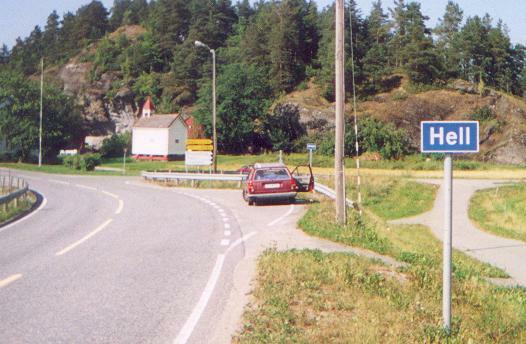 The band will perform at the Rica Hell Hotell. But lest you feel left out of Hell, Anti Sweden is giving lucky fashionable hellraisers a chance to win a–yes, indeed–“Ticket to Hell,” through a promotion on Facebook. So, go to Hell, people! And look stylish when you get there. There’s sure to be paparazzi. ← Japan Fashion Now–Go Now!